Metro Bike Share is now on TAP! Metro Bike Share accounts are now managed through TAP, and here’s what you need to know. You no longer need separate accounts to manage your Metro Bus and Rail fare and your Metro Bike Share passes. All of it can be handled on TAP — which means you’ll need to make sure your TAP card is registered on taptogo.net. If you don’t already have a TAP account, follow the steps below to create one. If you already have a TAP account and just need to enroll in Metro Bike Share, skip down to step three (and learn how to get a free Monthly Pass while you’re at it!). You’ll also be able to sign up for the new, more affordable annual bike share pass. -Upon selecting your purchase, your pass will be active. 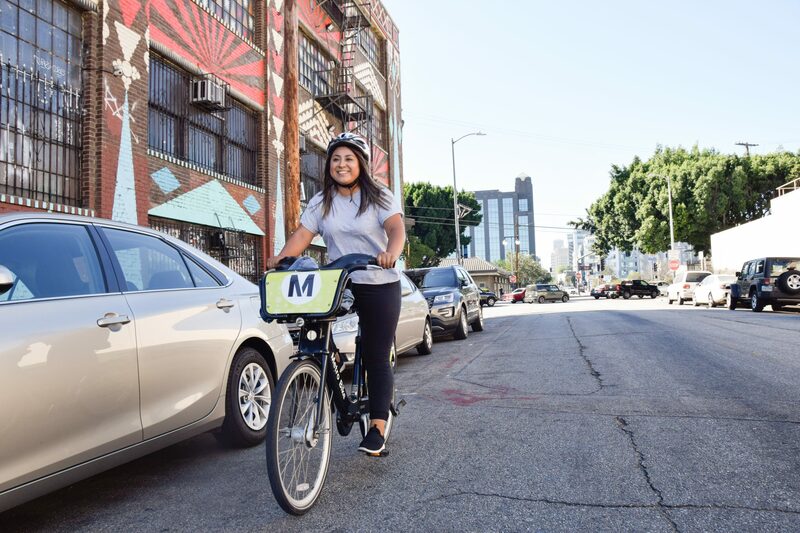 In addition, Metro Bike Share has launched a new Annual Pass for $150 per year ($12.50 a month) – a 26 percent discount off the standard monthly rate. *All trips 30 minutes or less are included in the Monthly Pass. Usage fees of $1.75 per each 30 minutes thereafter apply. Offer valid September 29 – October 31, 2018. 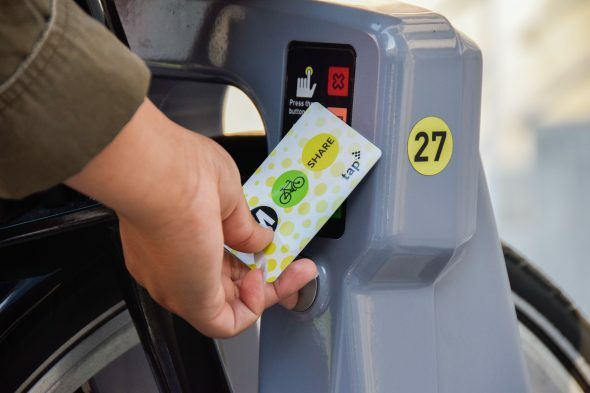 Bringing Metro Bike Share onto TAP paves the way for future features, including Reduced Fare passes and a rewards system that will help integrate all of Metro’s mobility services. Stay tuned for Reduced Fare options coming soon for seniors, people with disabilities , college/vocational students, and low-income customers. What’s your vision for the LA River Path? 1) If I have multiple TAP cards registered to my online TAP account, would I be able to use any of the registered TAP cards with Metro Bike Share? 2) Are transfers to Metro rail/buses now free too? For example, I check out a bike and then board at a Metro station. Yes, you will be able to add a Metro Bike Share pass to any existing registered TAP card. Transfers from bus/rail to bike and vice versa are not currently available. That’s still in the works and we’ll update as soon as we get more information. It doesn’t ask which card to put the bike pass on. So would all of the cards be linked to that bike pass? Or is there a specific card out of the multiple cards that are registered that I would need to use? I don’t have the answer to this off hand, will have to check with staff. Will let you know as soon as I get a reply. Thanks! Per TAP staff, as long as you are enrolled in bike share, you can use any card associated with your TAP account. Do Metro monthly passes now work on bike share too? Hi, at this time the Metro month pass does not include bike share. You will need to purchase a separate bike share monthly pass (or get one free this month by enrolling!). I have a BTAP card through my employer. Will that work on bike share? 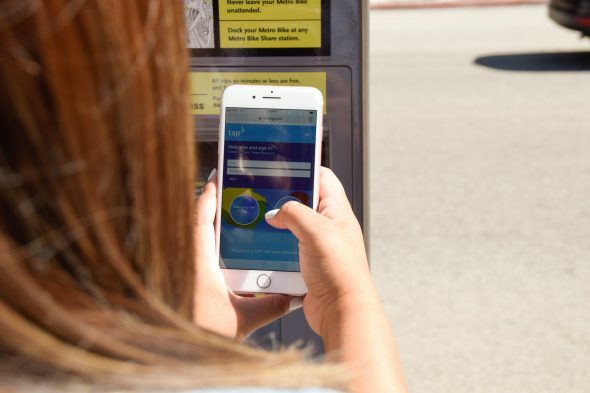 At this time, you will need a separate TAP card to use for bike share. In the future, we plan to make it available on BTAP, but we don’t have info on when that will happen yet.